In a moment of what I’m going to assume is fleeting insanity, Green Man Gaming have just slashed – violently, murderously slashed – a third off Guild Wars 2’s asking price. It’s now £24.99, likely to be cheaper than anywhere else online right now, and half the cost of buying the game directly from ArenaNet. Guild Wars 2’s pre-purchase discount runs for 24 hours, after which the subscription-free MMORPG returns to its lofty £37.99 perch. If you were considering dipping a toe into ArenaNet’s world, now would be a good time to take your metaphorical socks off. 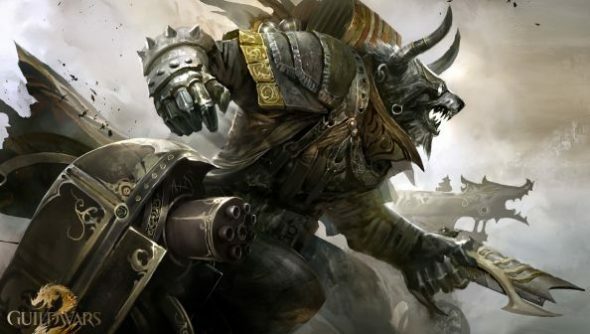 Guild Wars 2 launches a month from now, on August 28th. Update: Sorry Americhums, it seems this deal is a European exclusive for now.